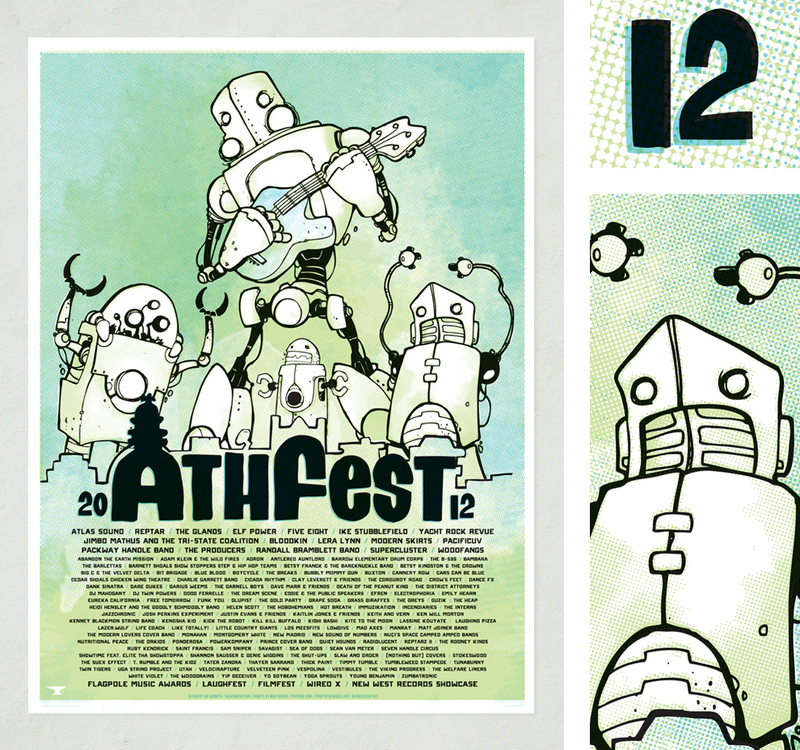 We created the design theme for AthFest 2012 music and arts festival. Make it fun! Get it noticed. Make it memorable. And, get it everywhere. 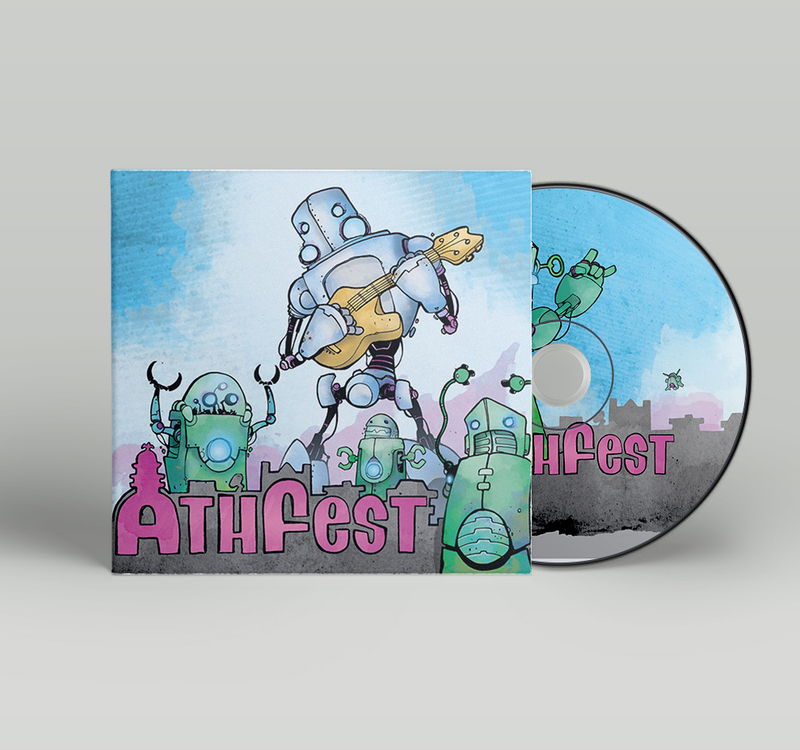 Shown here on posters, signage and CDs, it was also on tees, billboards, digital ads, print ads, their website and social media.